With its many community interests, The Blandin Foundation initiated the Minnesota Broadband Vision campaign. This includes sharing news and information on broadband use, policy and trends. 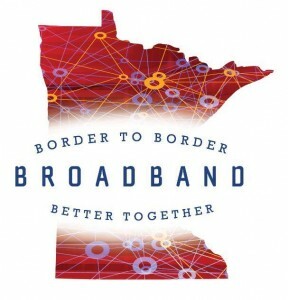 There is even an “I Endorse the Minnesota Broadband Vision” Facebook page to “like” as well as post local support. This entry was posted in Regional News and tagged bordertoborder, broadband, GRRL, KRLS, LARL, MELSA, resolution, TdS, VLS. Bookmark the permalink.